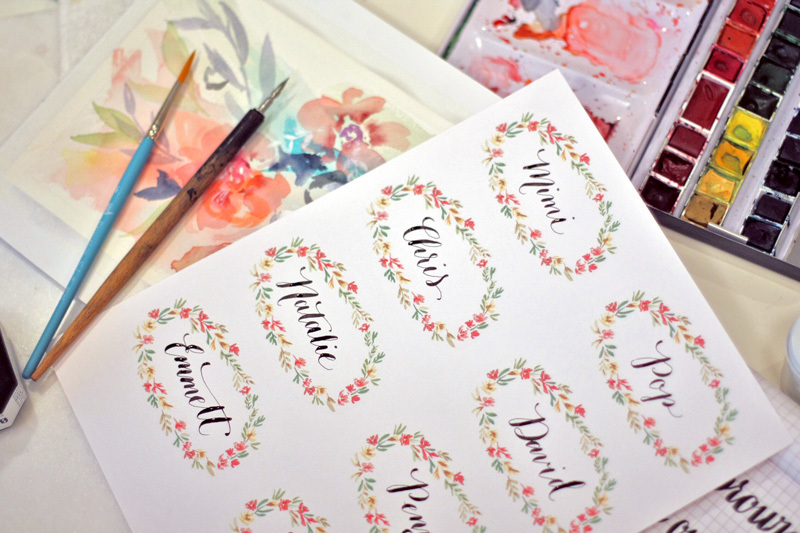 I’m so excited to show you the first installment of my newest line, Watercolor Wedding Vows for Cricut! 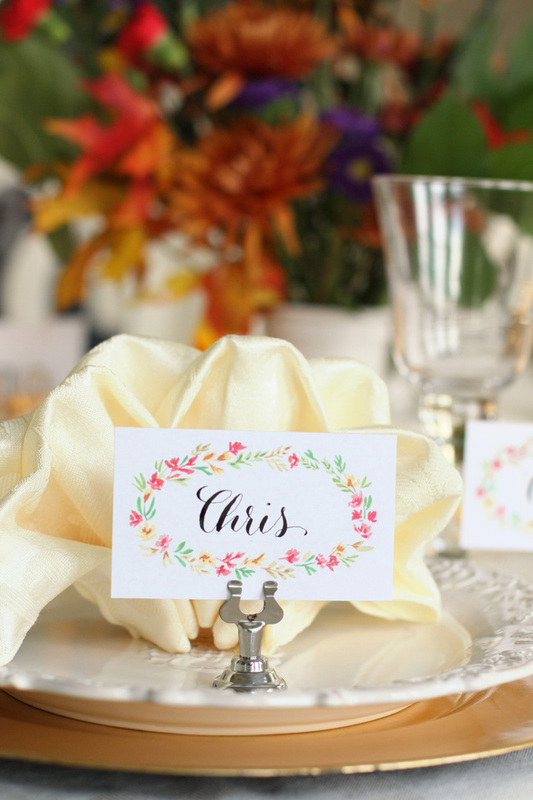 I love how this print and cut series has everything designed for you, yet you can easily change the the wording to fit your occasion. 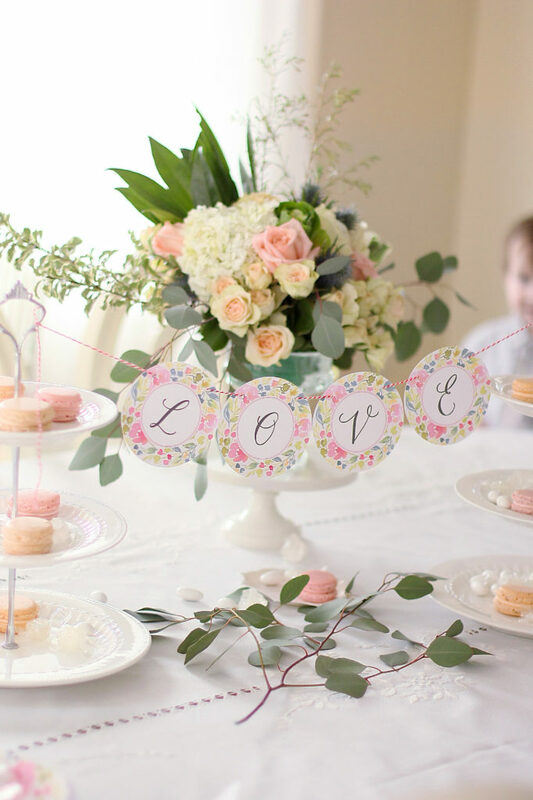 Birthdays, baby announcements, tea parties…. 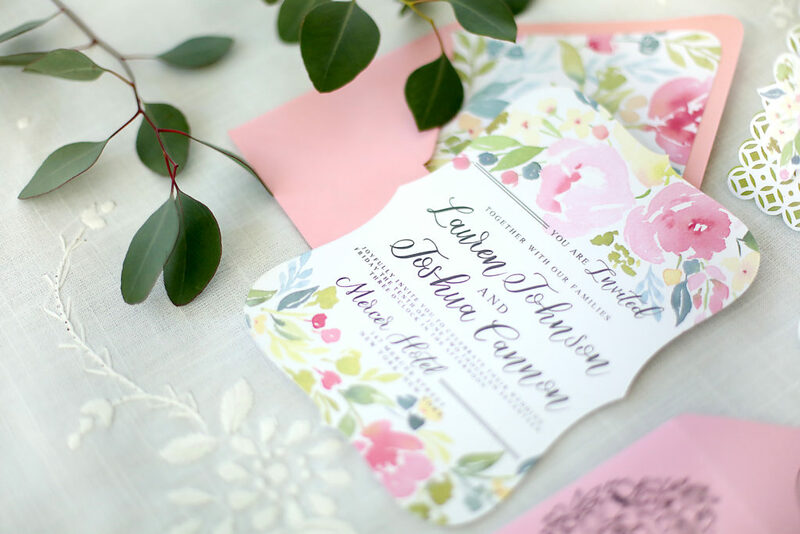 the list goes on for cute occasions that would go well with this style of watercolor florals. I may have used it myself a time or two already! 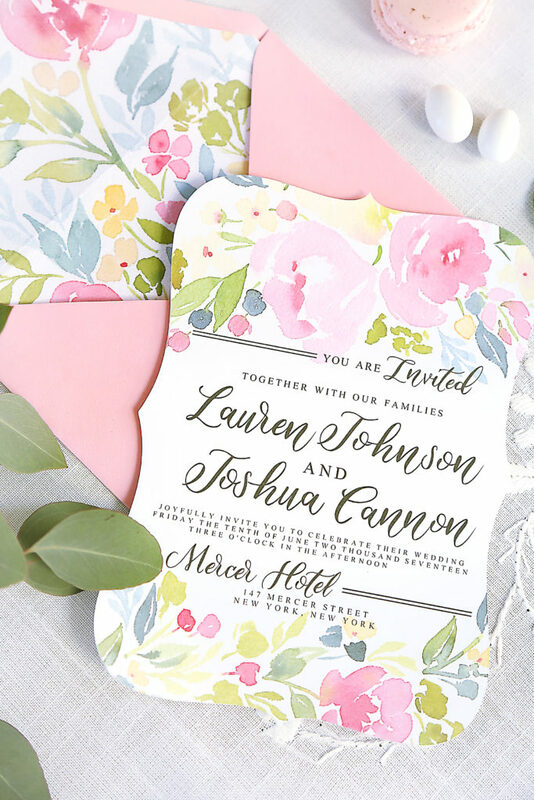 I’m loving all the soft painted peonies and roses that are so on trend right now, and the Cricut showcases them so well in this collection. I cannot tell you how excited I get to print off my party goods and then sit and watch as my machine trims them all perfectly for me. 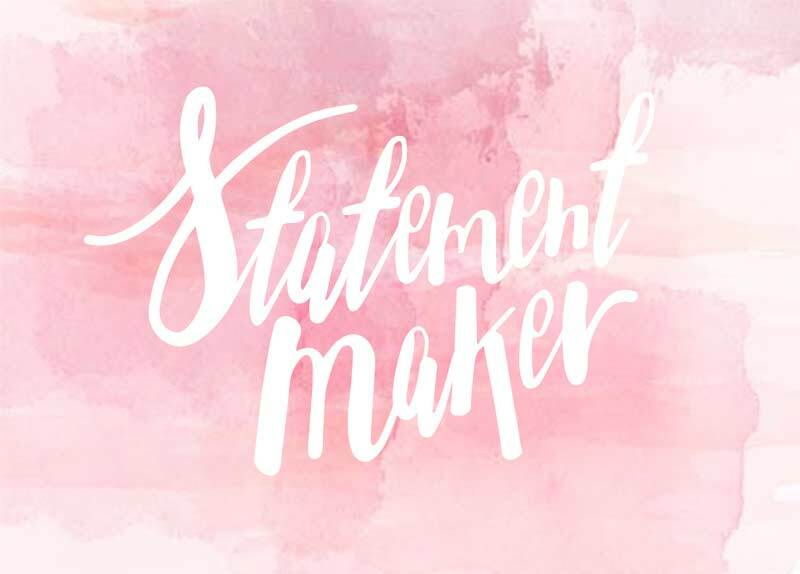 You can catch me answering some questions about weddings, the new line, and my inspiration here on the Cricut “Meet the Maker” series! I love the way they let you get to know the artists behind their lines with their fun interviews – be sure to go check it out! *This post contains affiliate links, which means that if you click on one of the product links, I’ll receive compensation to feed the family and keep creating great content for you to enjoy. 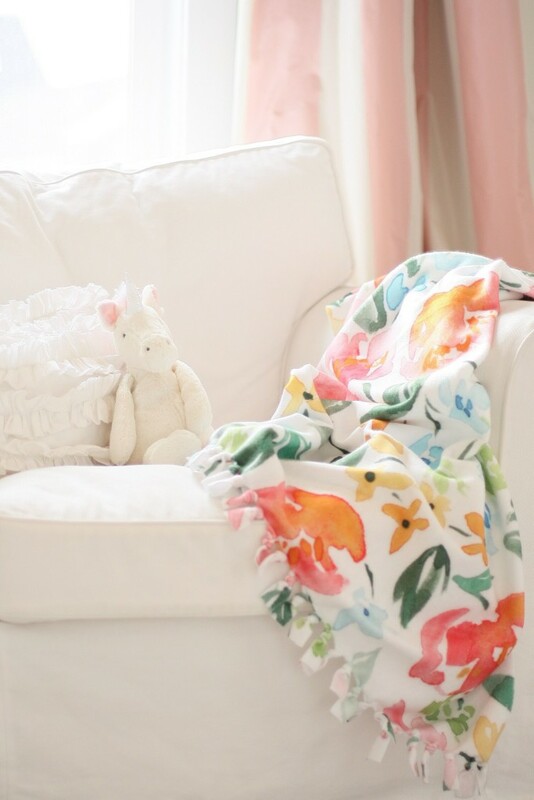 I was so excited when Spoonflower asked me to film a video tutorial on how to make a DIY no sew Fleece Blanket with their brand new line of gorgeous fleece! Its heavenly soft, slightly stretchy, and Alice definitely approves. 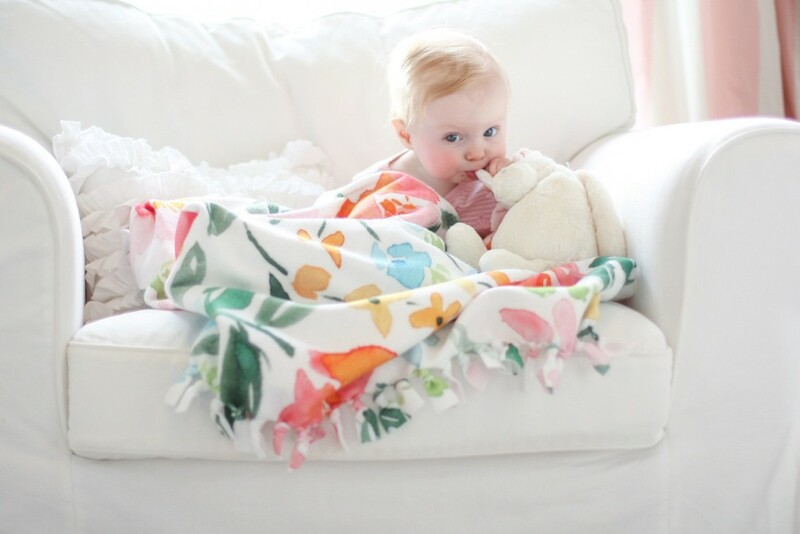 In fact, the two blankets I made seem to keep disappearing and I find them in all my kids’ rooms, so I think some more blanket making might be in order in the Malan household. 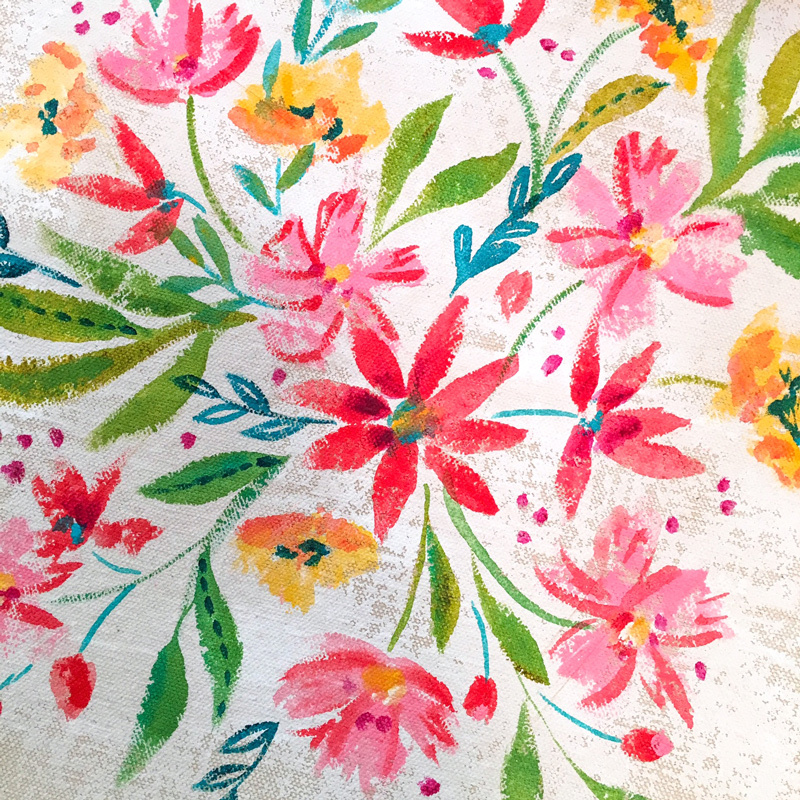 For this video tutorial I ordered a yard of my Persimmon spring fleece, and I also made a blanket out of our super popular Watercolor Peonies for Alice fleece as well. Find them in my Spoonflower store here. 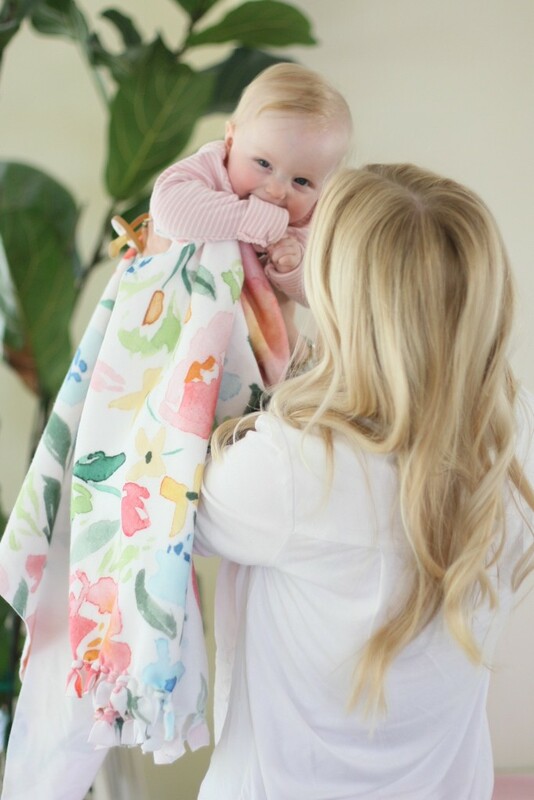 You could easily use two yards and make a double sided blanket, but I wanted a lighter weight blanket for the summer time and my diaper bag and this one has been wonderful. Be sure to check it out on their blog. Be sure to join us on Instagram to enter to win a Spoonflower gift card! 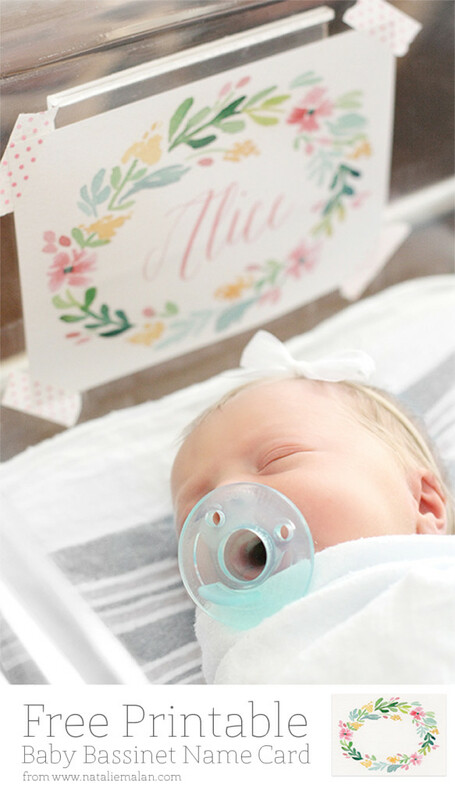 And if you’re looking to make a knit receiving blanket, be sure to check out this post of Alice’s newborn photos to see Watercolor Peonies for Alice in action in the hospital, and two more fun and free downloads for your delivery or nursery! 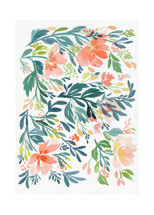 Bassinet freebie here, Watercolor garland freebie here. Her swaddler is so simple it doesn’t even need a tutorial; just trim the edges off a yard of jersey and you’re set to swaddle!!! 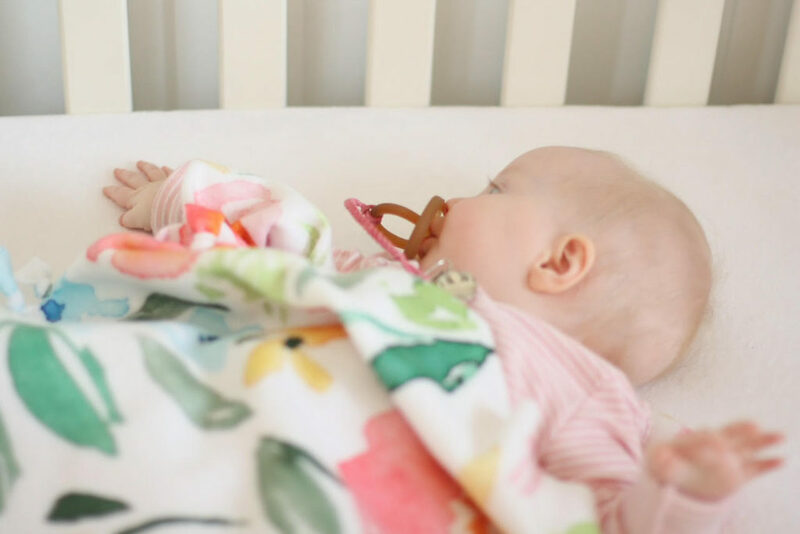 Be sure to check out these adorable binkie clips from Trompe + Co as well! They’ve been such a lifesaver! Alice will only take a very specific pacifier, and it’s a nightmare when we lose it!!! Trompe + Co has so many cute colors and styles available that you’ll have a hard time choosing, but we went with Bubble gum, and Gold. I promised my kids a library tote. We have made a new resolution to go to the library – even though two years ago they lost a teensy tiny little book that cost me $19 and I break out into a cold sweat and stop breathing every time they pick out books and my head is calculating any hypothetical lost book charges. So we took a break for a few years. But now we’re back! And the kids love it. My Makeful tote arrived magically in the mail as I was contemplating what to load up our books in. And I knew it would be perfect. Seriously, I thought someone in their offices was reading my mind – the timing was perfect. It was a simple and fun project, and the gesso works as a great eraser if you make any marks you don’t love in the painting process. 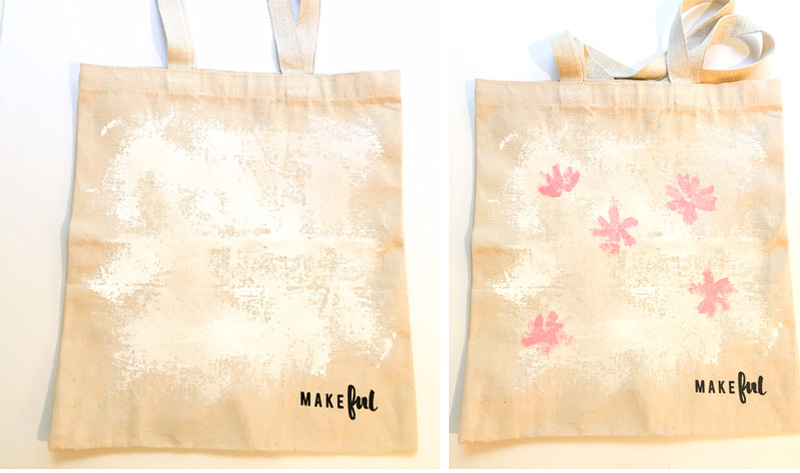 Use a brush to layer some gesso onto the tote. Let it dry. Mist the paper towel on the plate with the spray bottle; you don’t want it soaking wet, just nice and damp. 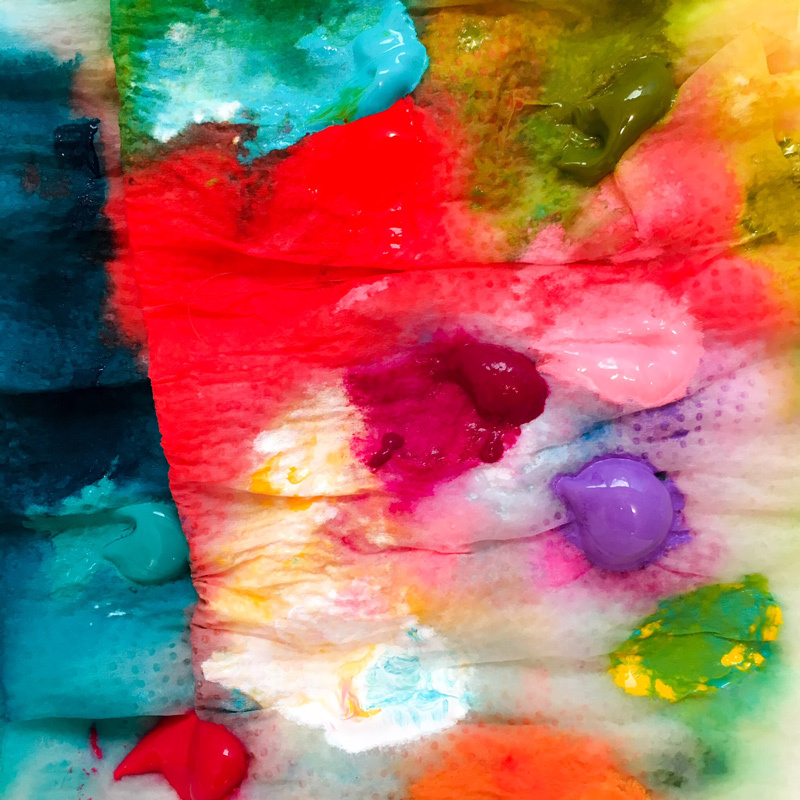 Put paints out onto a damp paper towel. Start laying out your design, I like to take each color and put a few flowers around for balance. 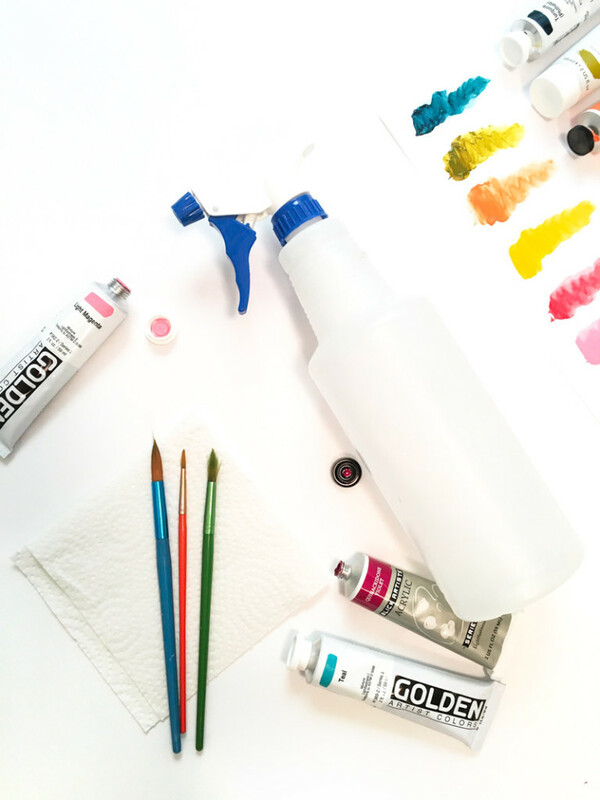 Use your spray bottle to mist your paints periodically to keep them wet. Add in stems and leaves in open spaces. Use gesso to correct anything that isn’t in a place you like. 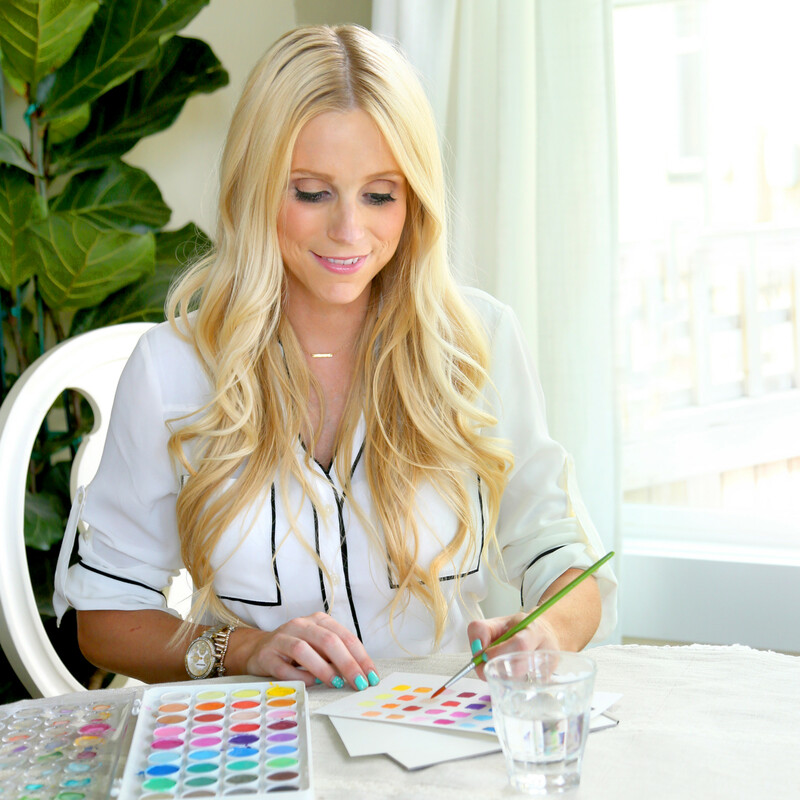 Keeping the flowers painted in similar colors (pink with red, yellow with orange) makes painting easier, and when they are dry, you can add interest with colorful centers. 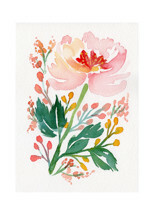 Be sure to think about scale as you are painting – a variety of large, medium and small flowers and leaves looks best. Let dry, and load up with books! Alt Summit……. Is definitely known for lovely dinners and parties! 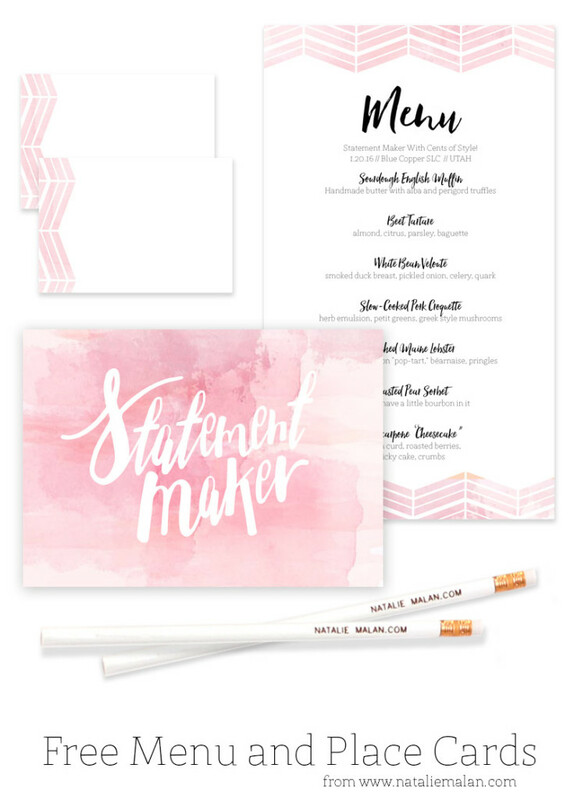 I was excited to be commissioned to create some custom stationary for the Cents of Style Dinner created by Food Made by Tom this year. 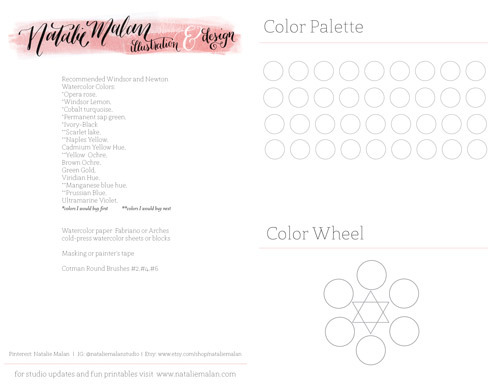 They wanted a Pantone Rose Quartz theme with a watercolor airy feel and a modern clean twist, and I think we accomplished just that. Art direction by Jen Jurca from Elevate. After a few rounds of revisions, we went with a Herringbone pattern, as a more contemporary take on it’s sister the Chevron – and it turned out beautifully. 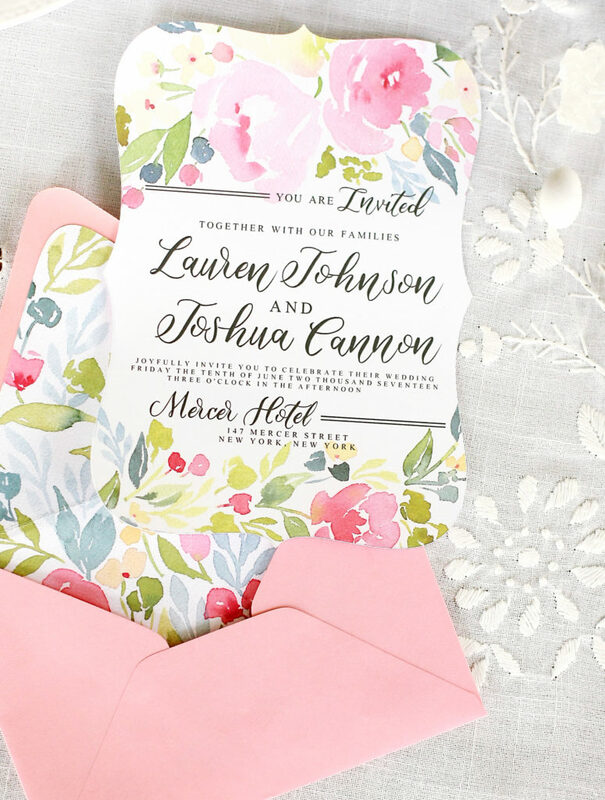 I can envision it as a Save the Date, Baby Announcement, Journaling card, Menu, NotePad, Honey do List, Laminated wipe off Board……. my list goes on and on…. The matching tented place cards come four to a page and print on a standard US letter sheet. 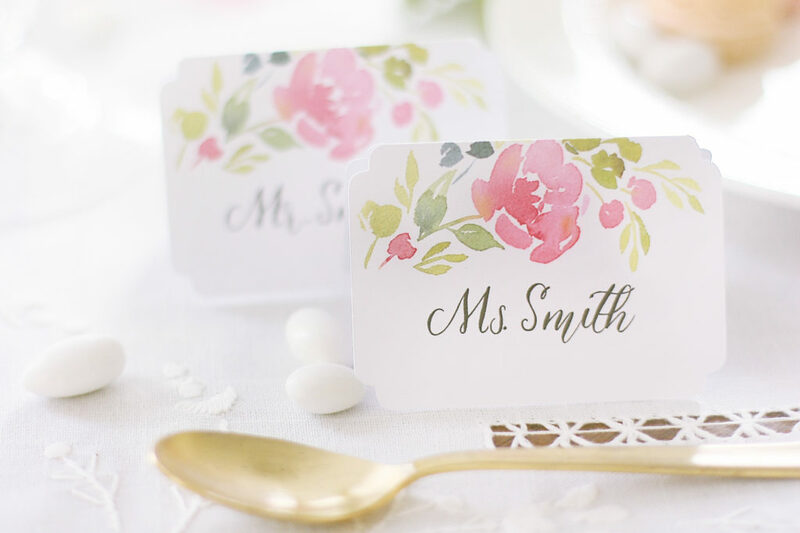 Use your favorite software to add names, or whip out a great brush pen and calligraphy those names right on. We hope you love them as much as we do. This one is just killer if your gallery wall is in need of a little pep talk and it prints beautifully as a 5×7. It’s fun and fab and we love how it ties Pantone’s color of the year into your space without the huge commitment of paint. We love a good deal and we’re pretty sure you do too. Our very best promo code is now active in the shop! Go take a look and grab something you’ve had your eye on, and check a gift or two off your list while you’re there. 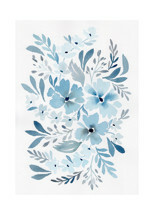 Our watercolor prints are all on acid free watercolor paper and are printed with archival inks. 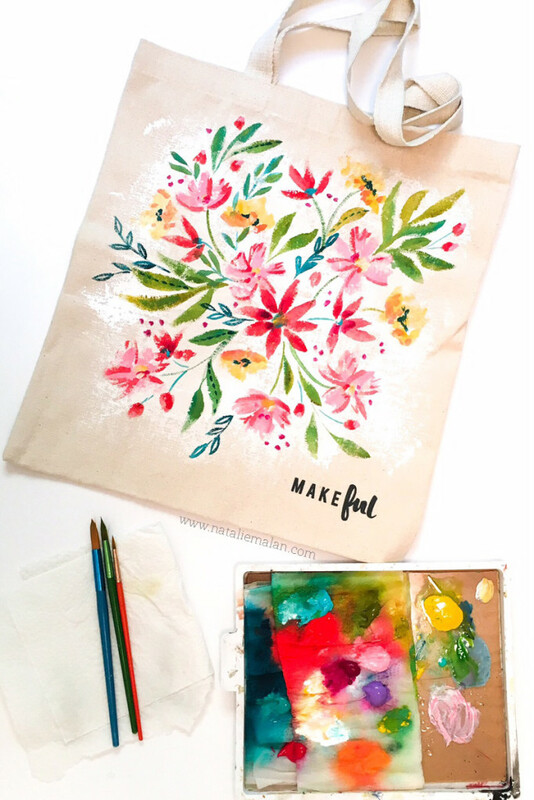 They make great gifts for friends, teachers, mothers in law, and neighbors. The prints come in standard – easy to frame – sizes, and Ikea is our go to place for crisp modern frames. Hope you have a Happy Thanksgiving – now go get your shopping on! So thankful for these four littles and the way they keep me on my toes. Even on the hard days. 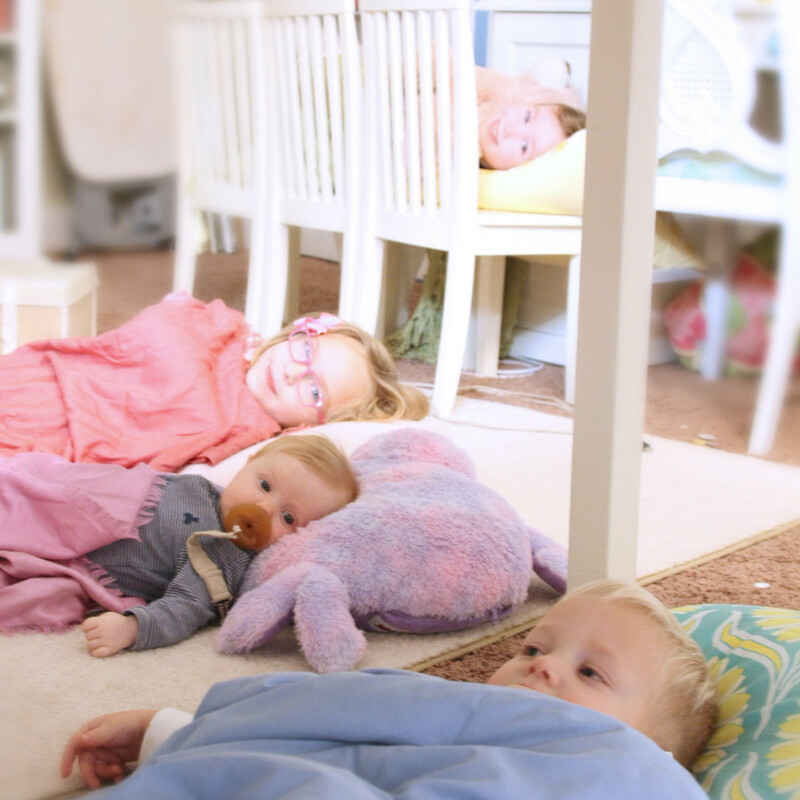 And just in case you were wondering… this is what goes on under my desk when I’m illustrating……. 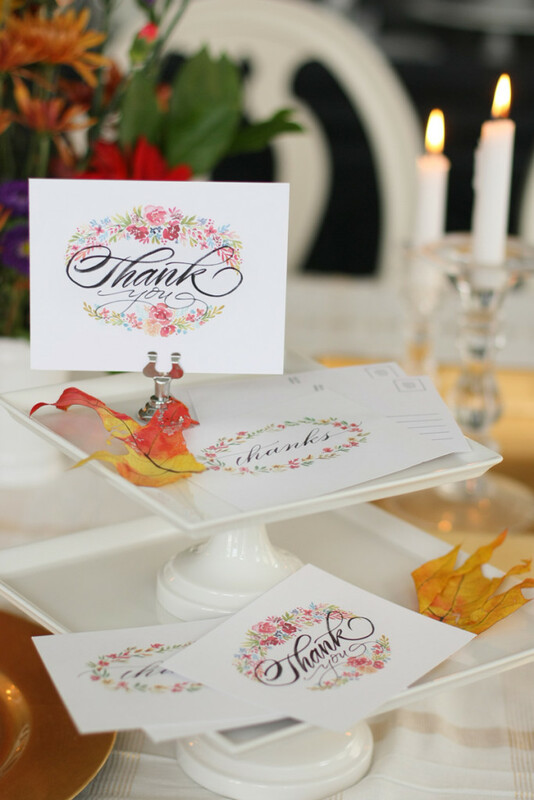 Included below are both the flat and folded files for some pretty Thanksgiving place cards for your table. 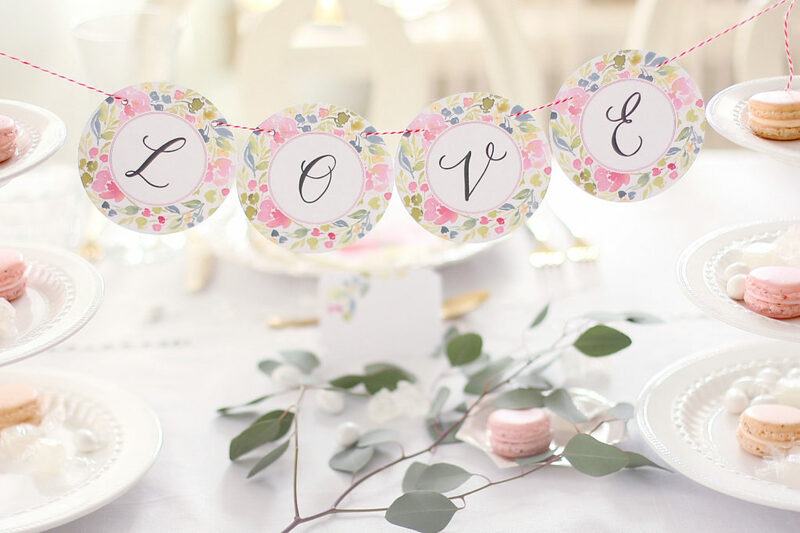 They are cute tied to a napkin, in a holder, or folded by your plates. And you can easily add names in your favorite editing software in your favorite font, or print on cardstock and fill them in by hand. Tag me on insta if you use them! I’d love to see. 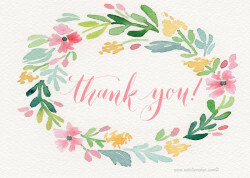 The fabulous Melissa Esplin and I teamed up this year to bring you some sweet watercolor & calligraphy “Thanksgiving Thank you Postcards” as a free printable. So excited! That stunning calligraphy…….sigh…..gets me every time! I took Melissa’s class just over a year ago, and still think it was the best investment I’ve made in a very looooong time. She’s got a new website up at Calligraphy.org that you should go check out, and add a subscription to your Christmas list while you’re at it. You won’t regret it. Promise. 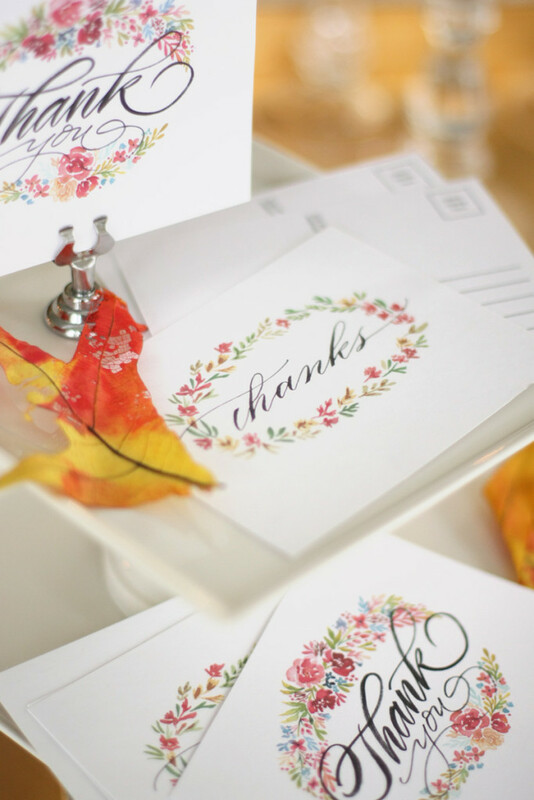 There are two fun options, and I have one Thanksgiving postcard in the link below, and be sure to head over to Melissa’s blog to grab the other for all your holiday note writing. And be sure to check back Monday for coordinating placards! 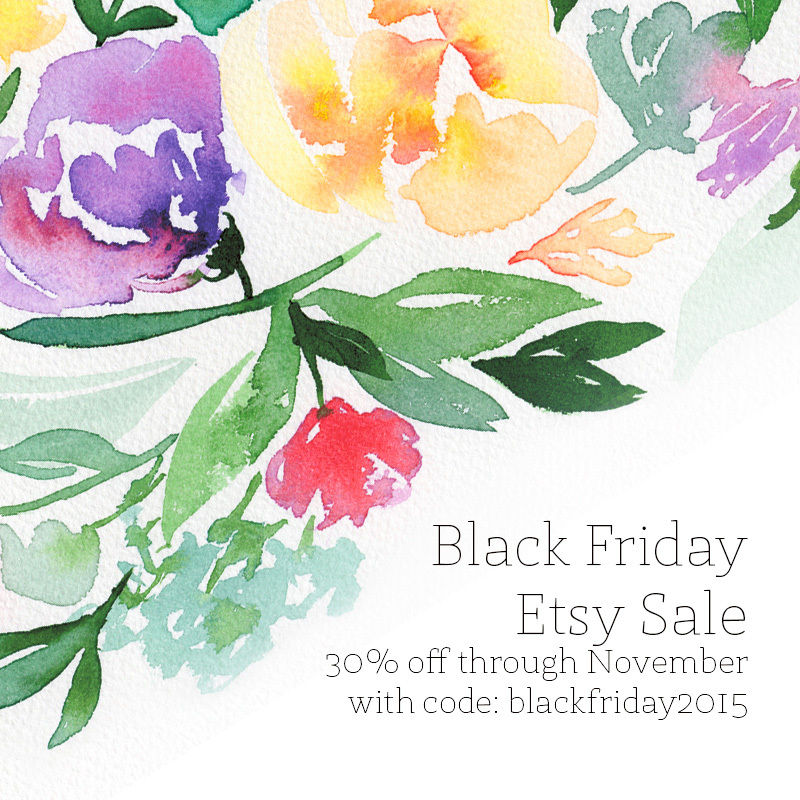 There may also be a Black Friday Etsy Promo code and some fun shop updates in the near future as well…….. just saying……. 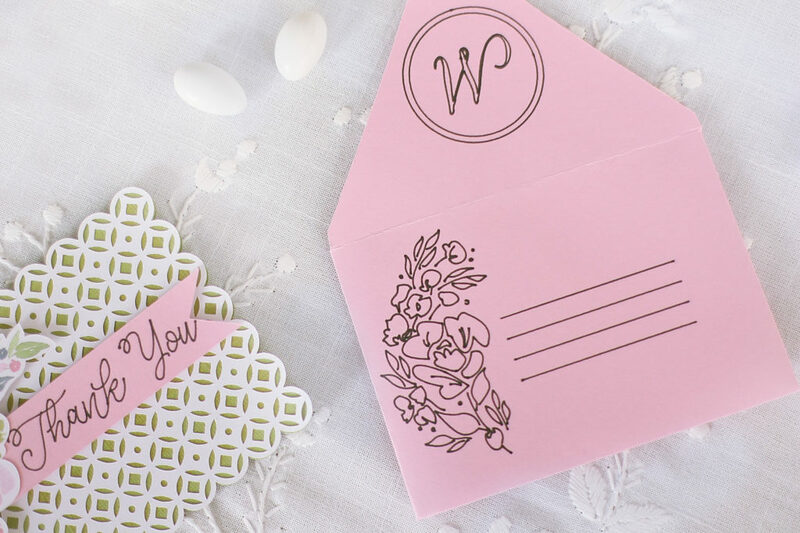 And be sure to check out these cuties to add to your super-convenient-printable-card collection! 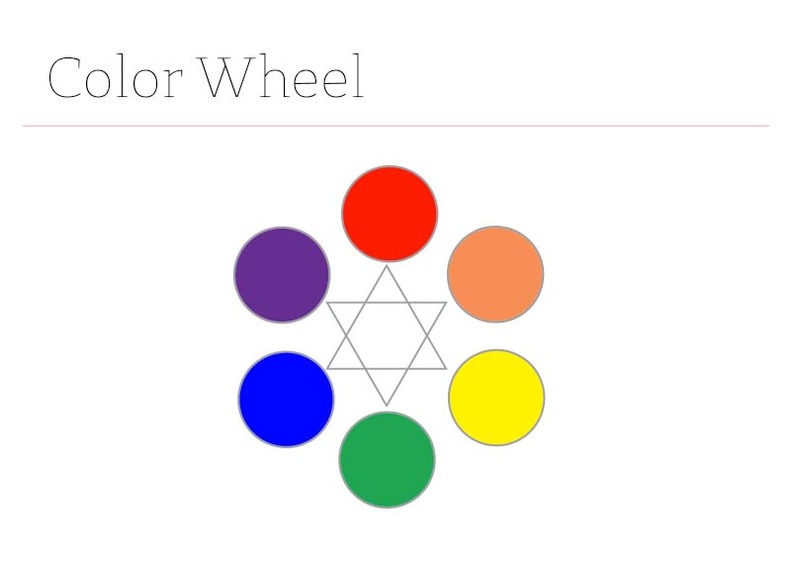 The color wheel above shows where to paint the colors on the color wheel. Red, yellow, and blue are your primary colors, and orange, green and violet are your secondaries. Complimentary colors are directly across from each other. On the left there are my recommendations of which Professional or Cotman (student) Paints I would purchase first, second, and third if you are on a budget. 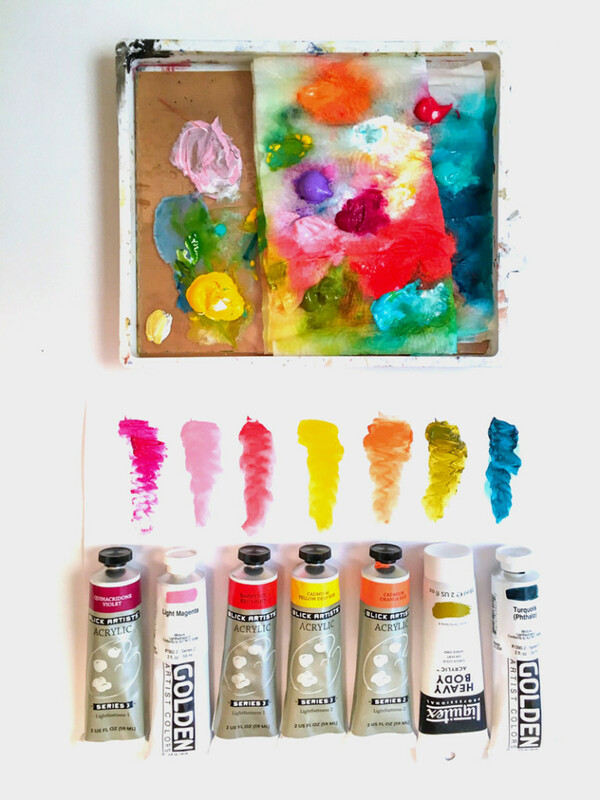 The color palette is for you to print and color in with your paints like they are laid out in your palette so that you can easily reference what the colors look like on paper.